We know how important it is not to have to part with your loved ones when traveling. That is why the Domina St. Petersburg permits pets no larger than eight kilograms in the rooms. 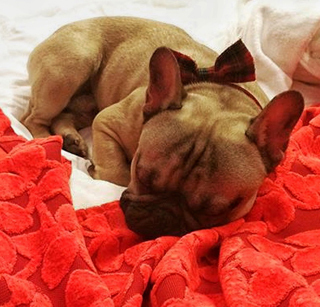 Ask Reception for terms & conditions of accommodation with pets. 24-hous Room Service guarantees you amazing dining adventure even during the night! 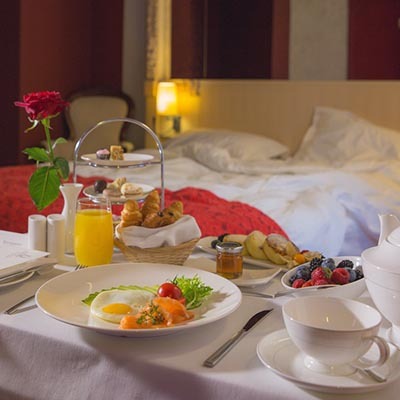 The concierges at the Domina St. Petersburg are true experts on how to enjoy your stay. They are always informed about what is going on in the city, and they will happily share their ideas, how and where to have a good time in St. Petersburg. Simply tell them your interests, and they can suggest excursions led by the city’s best guides, trips outside the city, or unique custom tours of the city’s best attractions. 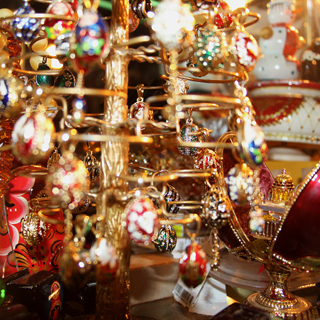 Take vivid memories of St. Petersburg home with you! In the souvenir shop at the Domina St. Petersburg, you will find a nice selection of charming souvenirs and ideal gifts for your nearest and dearest. 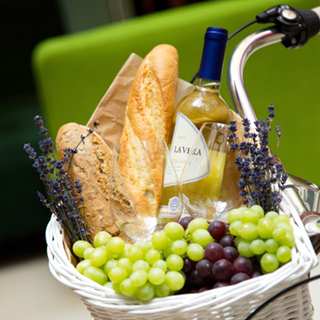 We are pleased to offer our guest free bike rentals! Get a map of the best routes and your travels through St. Petersburg will start at the aristocratic mansion on the banks of the Moika. For a breakfast in the park, our chef has prepared a special picnic menu. We provide blankets, as well as booklets and crayons to children. Enjoy the fresh air! 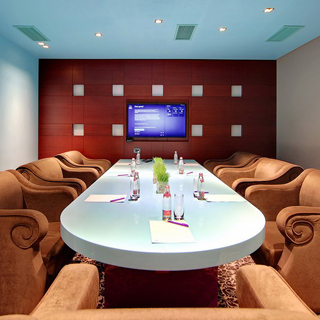 Travelling to St. Petersburg on business? We are happy to print, scan and send your documents by fax to any point in the world, 24 hours a day. 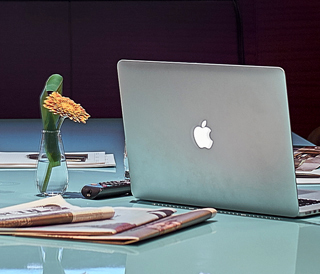 We are always prepared with a notebook , and the hotel is equipped with free Wi-Fi to keep you in touch with the outside world. Guests may also obtain the latest copy of choice periodicals fresh off the press each day. We commit to your rapid, comfortable travel to and from the airport and the Domina St. Petersburg. Planning to visiting the distant corners of the city or its famed suburbs? Simply choice a minibus, black-car sedan, limousine or convertible. Everything is possible! 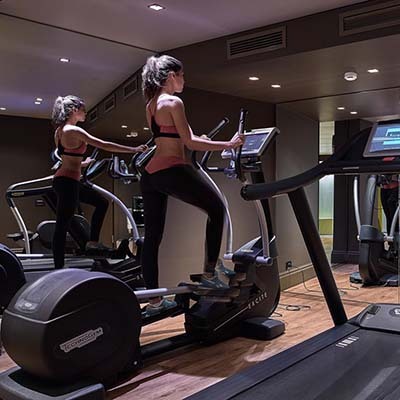 We do our best to ensure your things stay looking in top shape. 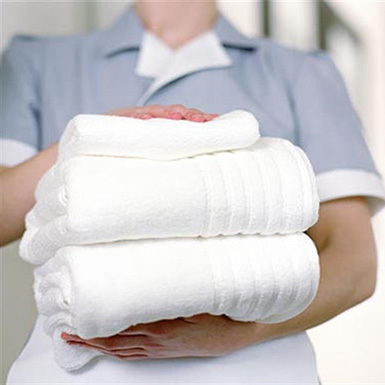 Our services include a laundry service and dry cleaning. We have a special place in our hearts for children, and we express it. For bambini, we have a tasty, healthy children’s menu “like grandma’s”, paint and toys, robes and hypoallergenic cosmetics for children in the room. Homemade gelato with a mug of warm milk is a gift at your first dinner in the Arcobaleno restaurant. There’s no need to change your routine, even at night. 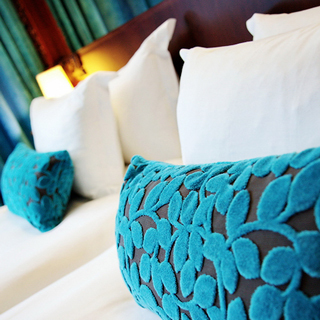 Among the selection of pillows on our special menu you’ll certainly find one which will bring you the sweetest dreams.  At Domina St. Petersburg you can be online around the clock completely free! Wi-Fi is available everywhere in the hotel.